My family and I live in Cheltenham, the heart of the Cotswolds, I never seem to tire of its beauty. 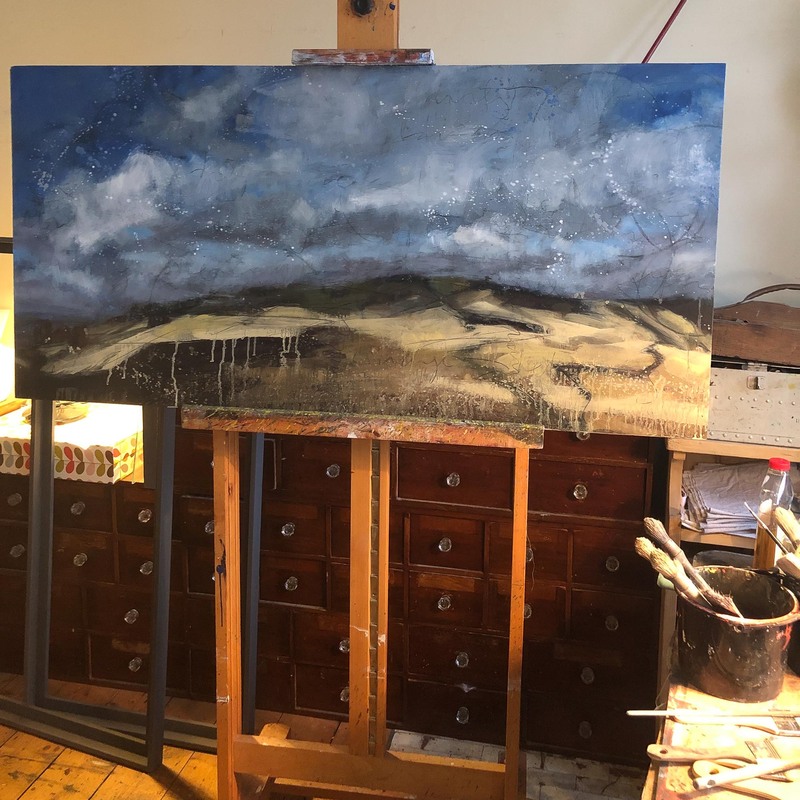 I am often found on Cleeve Hill in all weathers, sketching or painting what I see and feel, and it is a great influence on my work. However, I am never without my paints wherever we go in the country or world. Painting for me is not a luxury, it's a necessity. It makes life make sense to me. I am passionate about drawing and painting directly from life, getting to the truth of a subject as I see it. I like to think openly about what I'm looking at, as if I'm seeing it for the first time with no expectations. I am then free to empty my response onto the canvas. It's my view that as an artist my objective is to channel the truth of what I'm seeing and feeling. 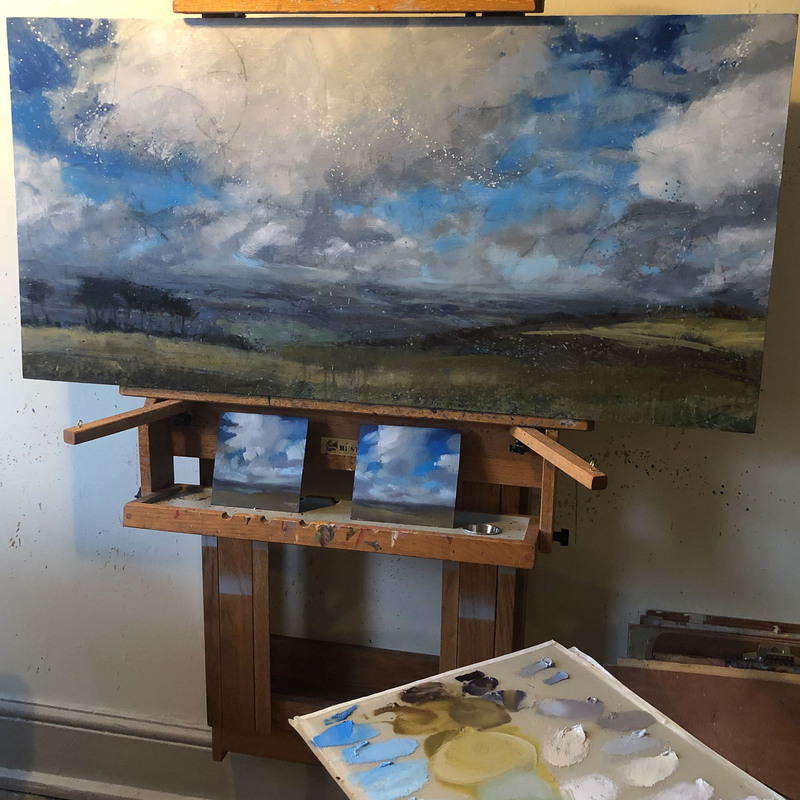 I hope that by doing this I am able to provoke more of a connection with the viewer. Recently, I have been exploring using text and image together, with the aim to increase my and the viewers' emotional response to the work, as this combines both the right creative brain and the left analytical brain. It's been a really interesting area to explore and I don't feel finished with it yet. The painting is created using a series of thin painted oil layers that I write through after each painting session. These layers are built up over a few days. 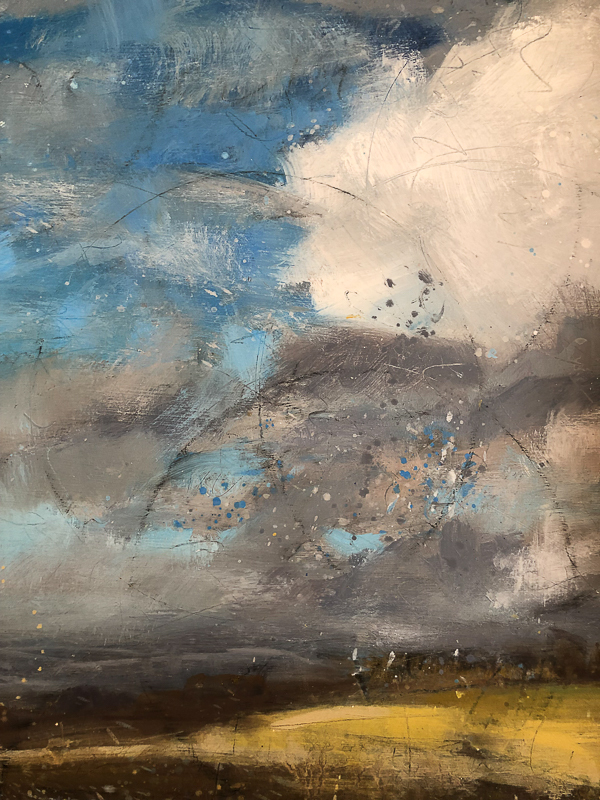 The writing and sacred geometric seed of life pattern serves to keep me emotionally connected to the landscape and enlivens the surface of the painting when the viewer is close up, and almost disappears when viewed from a distance. As well as drawing and painting in all mediums, I also teach these skills at Cheltenham Fine Art. I enjoy teaching students who have already achieved an Art degree to those whose artistic journey is just beginning. It's such a privilege to see students' talent and ability flourish. View some of Jayne's work on sale online and at the Burford Art Gallery.